Calcium is an essential mineral that is required by our body to maintain strong, healthy bones and carry out myriad important bodily functions. Unfortunately, we are not getting enough of it. Therefore, in order to increase intake of calcium in the body and avoid calcium deficiency, we are going to discover some of the most calcium rich Indian foods sources out there. But, before we delve into the calcium rich superfoods, let us understand the basics. It is critical to understand that calcium is one of the minerals that is not produced by our bodies. Therefore, it is of utmost importance to make it a part of our routine diet. It is essential for the overall development of the bones and teeth. It helps to avoid hormonal imbalance and Premenstrual Syndrome (PMS) symptoms in women. It is claimed that calcium may help prevent dangerous cancerous diseases such as breast, ovarian and colorectal cancer. It helps to keep the heart healthy and prevent chances of heart diseases. Here is a list of calcium rich Indian foods that can help you achieve the daily recommended amount of calcium in the body and for the better overall functioning of the same. So, don’t forget to add these calcium rich Indian foods to your shopping list. 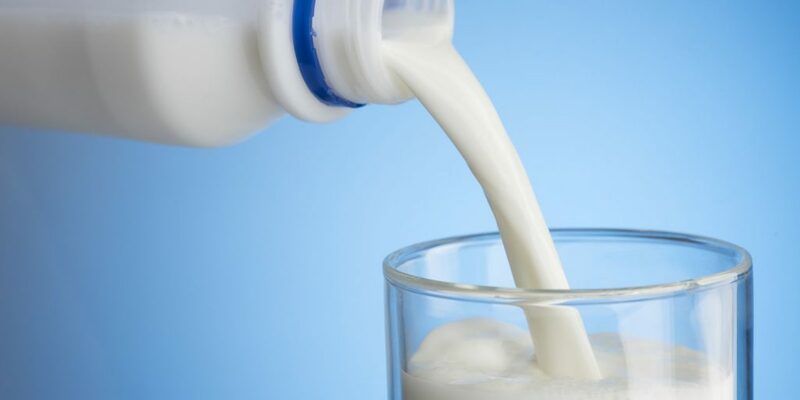 Milk and calcium are almost synonymous and that is the reason why whether adults or children are forced to drink a glass of milk every morning. Hence, the first thing to add to your calcium rich Indian foods list is milk and/or milk products such as curd, butter or cheese. – Intake: A 100 grams of low fat milk gives you 120mg of calcium. When you think about calcium rich Indian foods always remember to add oranges to your diet as it’s a rich source of calcium. Feel free to consume them in any shape or form i.e. in the form of smoothies or salads or just like they are. 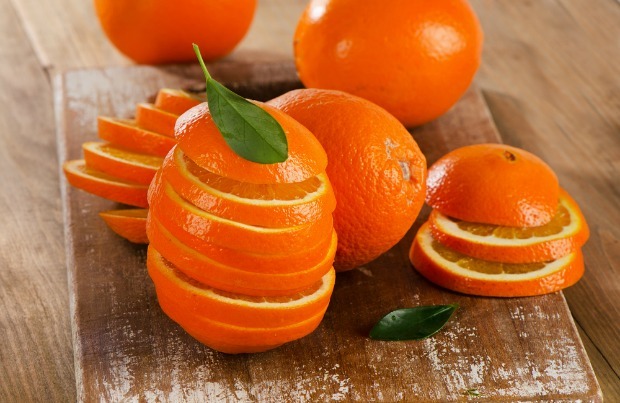 – Intake: Half a cup of orange juice gives you 50mg of calcium. 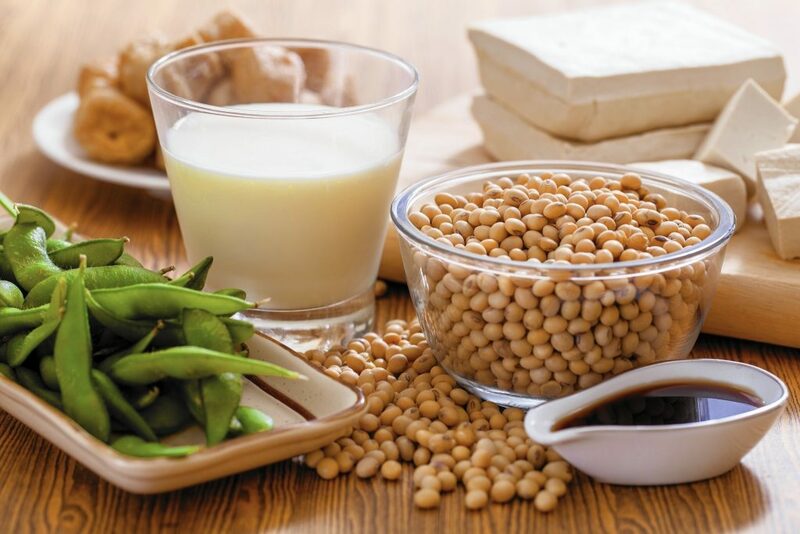 Soya in its numerous forms such as soy-beans, soy-milk or soy-tofu ought to be some of the best sources of calcium. Adding this calcium rich Indian food in your diet will not only help to increase your calcium intake but also help you to stay in shape. – Intake: A cup of cooked soybeans gives you 175mg of calcium. Okra is one of the most popular vegetables after potatoes in India. Therefore, in order to increase your calcium intake and the nutritional value of the dish make sure to add this to your list of calcium rich Indian foods list. Remember, overcooked okra losses it’s calcium-rich minerals therefore, make sure to cook them properly or have them boiled. 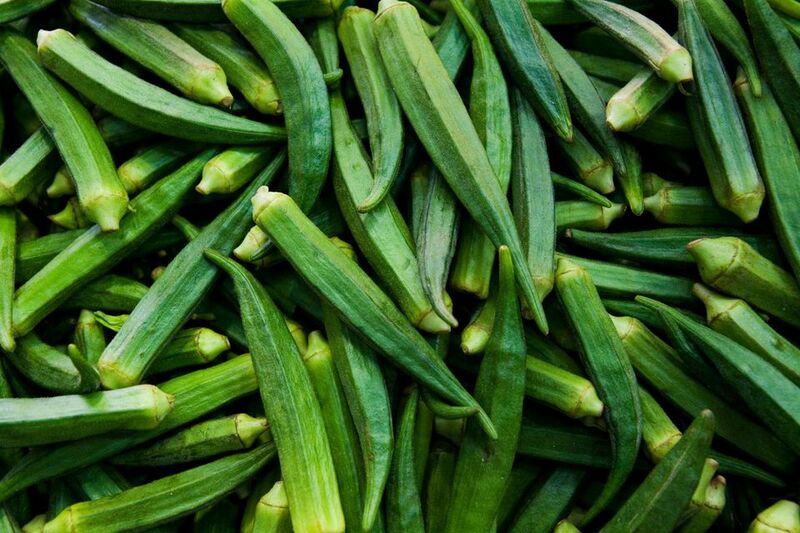 – Intake: A cup of cooked okra gives you 170mg of calcium. Also, read about: Fiber Rich Indian Foods. 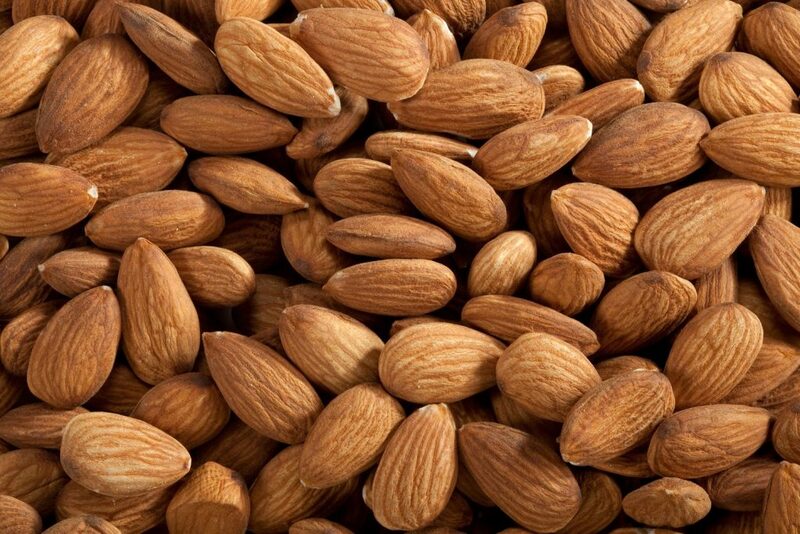 Almonds are one of the most popular calcium rich Indian foods recommended by dieticians. They can be consumed either in a salad, raw, roasted or in any other way that you fancy to give you the boost of calcium needed to make your bones healthy and strong. – Intake: A 100 grams of almonds gives you 260mg of calcium. Spinach or green vegetables in general are a good source of calcium, proteins and other nutrients. Hence they can make up a healthy-wholesome diet. Therefore, if you think about calcium rich Indian foods – greens is the way to go! You can have them either in salads, curries or soups. 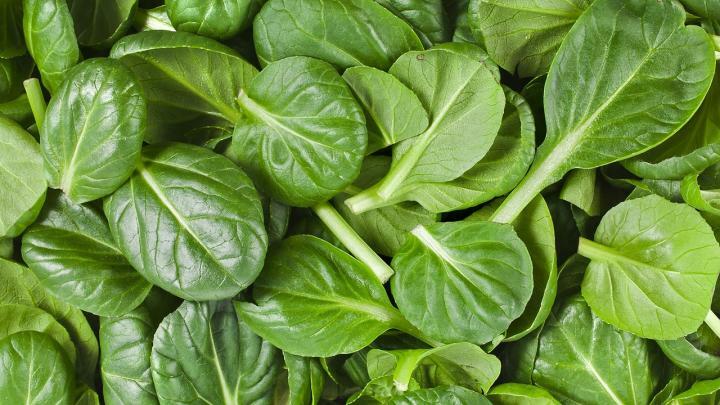 – Intake: A cup of cooked spinach gives you 250mg of calcium. Also, read about Vitamin D Rich Indian Foods. If you are a non-vegetarian then you are lucky as you can include eggs and chicken in your daily diet. Poultry products are a high source of calcium and therefore a must to add in your shopping cart when you go looking for calcium rich Indian foods. 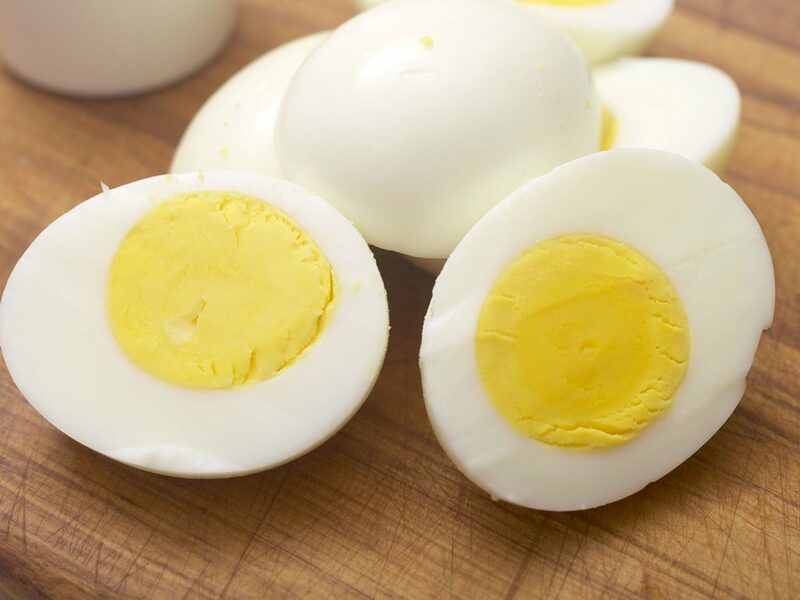 – Intake: A boiled egg gives you 50mg of calcium. These are not just burger bun decorations. Sesame seeds have a high degree of calcium content in them. Therefore are also added benefits of consuming these seeds in the form of reduced risk of cancer, heart diseases, low blood pressure and inflammatory problems. 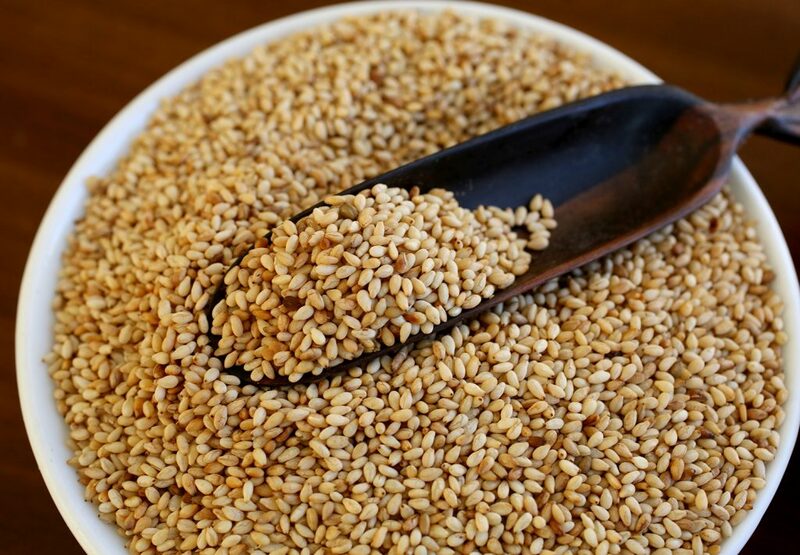 – Intake: 1 tablespoon of sesame seeds gives you 88mg of calcium.